According to American Association for Cancer Research, nearly 10 percent of the long term cancer surviving people play with fire by continuing to smoke. These are specially the ones who endure cancers of lungs and bladders. According to a report published in Cancer Epidemiology, Biomarkers and Prevention, a journal of the American Association for Cancer Research, the percentages of cancer patients still smoking after 9 years of their diagnosis: Bladder cancer- 17.%, Lung cancer-14.9%, Ovarian cancer-11.6%, Melanoma cancer-7.6%, Kidney cancer-7.3%, Colorectal cancer-6.8%. As per Lee Westmaas smoking decreases the survival time and pose them again to the cancer. It is disheartening to see that despite these glaring facts, people don’t feel like to quit smoking. The study showed that 83% of the survivors smoked 15 cigarettes per day. Smoking was more common among women than man probably due to lack of education and less income. They estimated that only one-third of the people quit smoking after being diagnosed of the disease, rest two-thirds still continue. 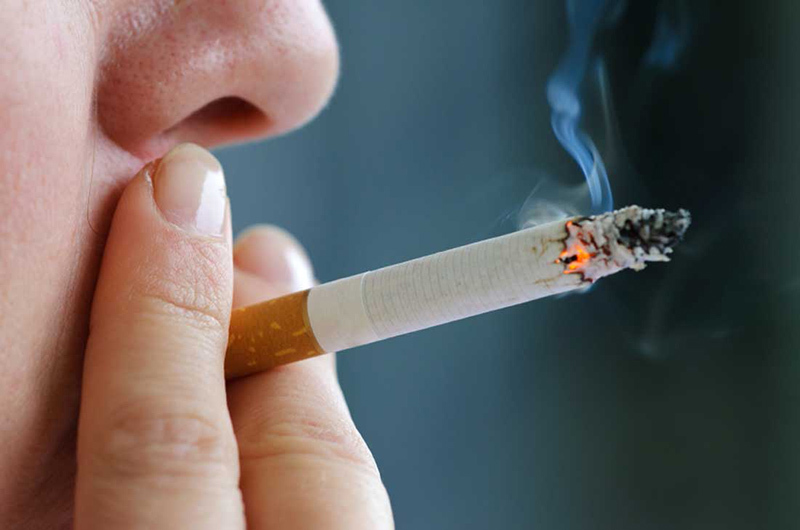 “Information is lacking on smoking patterns of survivors many years after diagnosis and correlates of smoking status and patterns, likelihood of quitting, and intentions to quit, “ says the study’s abstract. “Smoking is addictive and having cancer does not guarantee that you will stop, even if that cancer is directly tied to your smoking. We need to do more to intervene with these patients”, says Lees. For motivating the cancer survivors to quit smoking, a rational approach is required. With the assistance from the psychological variables, these people could be familiarized with the other health related aspects. As indicated by various authors, these people can be best dealt with proper counseling sessions and medication facilities.